The first trailer has been released for Martin Scorsese‘s new film Silence, and it looks like he’s created another masterpiece. The film is very different from anything he’s done before. Scorsese has been trying to make this film for the past 28 years. Now he’s finally done it, and it looks like it was well worth the wait. 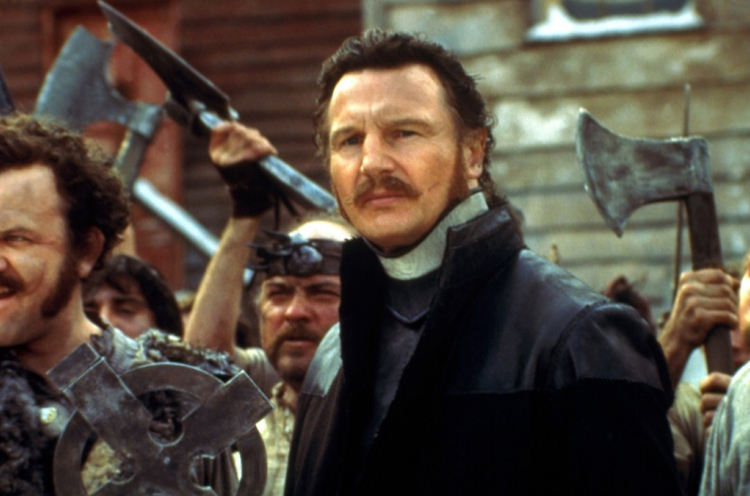 The story is set in the 17th century, and it centers on two Christian missionaries, played by Andrew Garfield and Adam Driver, who embark on a mission to Japan in search of their missing mentor, played by Liam Neeson. This journey is described as their ultimate test of faith as they enter a land where Christianity is outlawed. It looks like this is something that they will be struggling with. Of course, the movie is sure to go beyond that basic premise. This looks like a deep and powerful film that will go into questions of religious tolerance and explore the dangers of ministering the faith to the Japanese people during that time. There’s going to be plenty of stuff to chew on with this film. Silence opens in theaters on December 23rd.